Hours later, the effects of Monday's basket-brawl between Gilas Pilipinas and Australia in their FIBA World Cup Asian qualifying game are still felt. 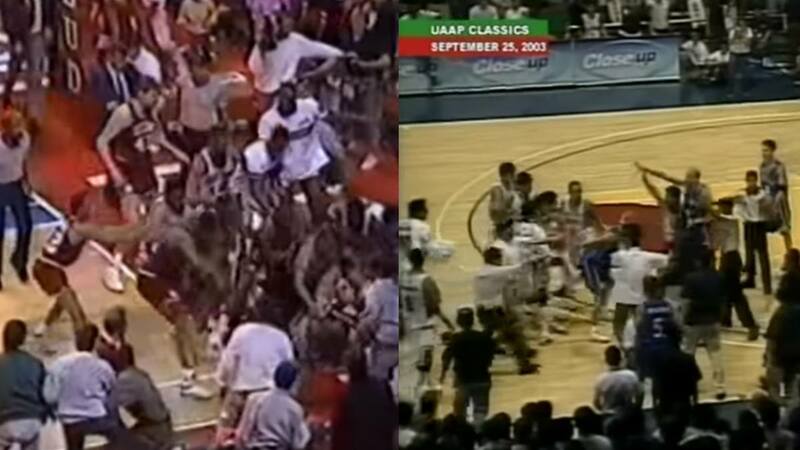 The intense physicality escalated to an ugly free-for-all, which saw 13 players ejected, including nine from the Philippine team. The Boomers won, 89-53, but not without a lot of bumps and bruises given and taken. Australia has since issued an apology for the incident, while Gilas coach Chot Reyes defended his boys, who have been hit by the opponent as early as the warm-ups. 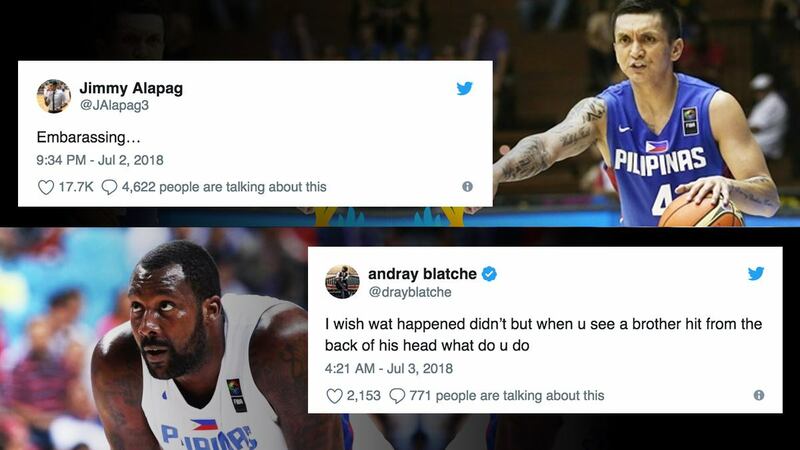 Netizens had a lot to say about what has been called "one of the biggest on-court fights of the last decade," but it was the mixed reactions from fellow PBA ballers of the national team members, led by ex-Gilas stalwarts, that got the most attention. Players from the Barangay Ginebra San Miguel, whose Japeth Aguilar was among those thrown out, were the opposite of the usually loud crowd in adding their two cents. Some local pros (mostly Fil-Ams) were even the target of racist remarks after they expressed embarassment over the landmark brawl involving their peers. Coach Chot was quoted by SPIN.ph, "I understand the disappointment. I understand that some are embarrassed, but you don’t know what happened. You have to be in the team, you have to be in our circle, to really understand what went down." It looks like that feeling is mutual among the Gilas wards based on their individual statements.